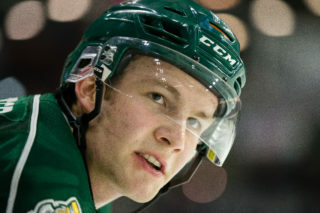 KENT Wash. – Ethan Bear’s slap shot with less than three minutes remaining in regulation stood as the eventual game winner, helping the Seattle Thunderbirds sneak past the Everett Silvertips, 3-2 before 5,204 fans at ShoWare Center on Friday in WHL action. 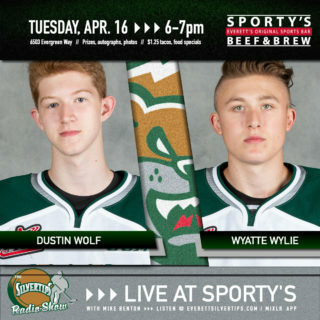 The Silvertips, still in control of their destiny, trail Seattle by one point in the U.S. Division title race but hold a pair of games in hand. Connor Dewar and Sean Richards scored in the series finale, while Carter Hart made 19 saves. 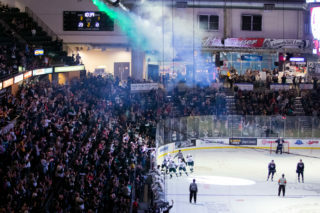 The game also began with a bizarre twist as Seattle leading scorer Mathew Barzal mysteriously left the ice before the National Anthem and did not return for the remainder of the game. Everett had a great start against Seattle, spending a lot of time in their zone to start off the first period. Everett struggled to get pucks to Toth which gave Seattle a slight edge in shots to start things out. The duration of the first period was extremely fast paced and saw a lot of end-to-end hockey. Carter Hart made fantastic saves and looked sharp throughout the period. At 15:59, Anthony Bishop took a hooking penalty to give Everett their first power play of the night. Everett had some quality scoring chances but Toth looked sharp and Seattle killed the penalty. Everett ended the period with the shot advantage 9-7 and the score was tied 0-0. The second period started off with a bang as Sean Richards scored a goal at 1:38 thanks to the hard work of Lucas Skrumeda and Riley Sutter – honorable mention to Eetu Tuulola, for bringing the puck into the zone and setting up the nice play. Less than a minute after Everett’s goal, Turner Ottenbreit got the equalizer at 2:26 to make it 1-1. Shortly after the goal, Matthew Wedman took a charging penalty, giving Everett their second power play of the evening. The power play fell apart rather quickly as Alexander True got the shorthanded tiebreaker thanks to a great pass by Ryan Gropp at 4:18. The power play unfortunately did not recover and Everett was unable to score. At 10:24, Montana Onyebuchi took a charging penalty to give Seattle their first power play of the game. Everett’s penalty kill continues to shine and Seattle was unable to get quality shots at Carter Hart. Shortly after Onyebuchi’s penalty expired, Eetu Tuulola was hooked by Austin Strand and they had a brief scrum in Seattle’s net. Strand was called for the hook and Tuulola got an embellishment penalty, therefore 4-on-4 hockey occurred for two minutes. Seattle put a lot of pressure on Everett during the 4-on-4 and did not give any room for Everett to make clean zone entries. The teams went back to full strength with no goals scored. At 19:11, Connor Dewar score a puck off Rylan Toth that bounced off of him and found the back of Seattle’s net to tie the game at 2-2; the play was set up by Bryce Kindopp and Noah Juulsen. The third period was a nail-biter and had a playoff feel to it. Everett had a better start to this period as they were getting more zone time and more pucks to the net but Rylan Toth continued to do well in net for Seattle. At 4:45, Tyler Adams leveled Carter Hart behind the Everett net, knocking his helmet off and went to the penalty box for two minutes due to the goaltender interference. Everett’s power play saw improvement from the second period but did not manage to score and the game remained tied. The pace of the game never slowed down and the two teams battled hard against each other through the remaining minutes. Everett was able to get a lot of shots at Toth but were unable to get any past him. Ethan Bear got a slapshot past Carter Hart from the point to make it 3-2 at 17:45. 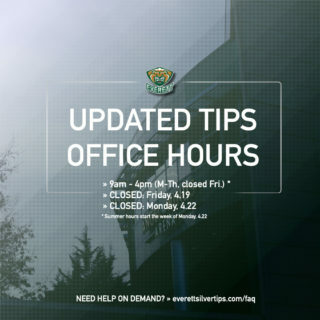 With two minutes left, Carter Hart was pulled for the sixth attacker; shortly after he was pulled Patrick Bajkov took a tripping penalty in the offensive zone to put the Tips shorthanded and forcing Hart to go back to his net at 18:19. At 18:35, Keegan Kolesar took a slashing penalty to put the teams at 4-on-4. Hart was pulled once again, putting the Tips at 5-on-4 for the duration of the game. Everett had some good last second looks but time ran out after Matt Fonteyne missed on a spinaround bid at the net. The Tips had the shot advantage in the third, 10-5. Carter Hart’s counterpart, Rylan Toth, made 21 saves. The Silvertips will continue on the road with a game at Tri-City tomorrow, March 11 at 7:05 PM PT (Fox Sports 1380 / WHL Live). 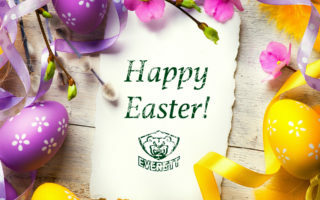 Notes: Silvertips scratches included Ian Walker, Aaron Irving, Keith Anderson and Orrin Centazzo … The Silvertips are now 40-15-8-3 with 91 points and moved to 1-1 on the six game road trip … Kindopp recorded an assist in back-to-back games.